PDXFilm Presents Frank Zappa’s 200 Motels! 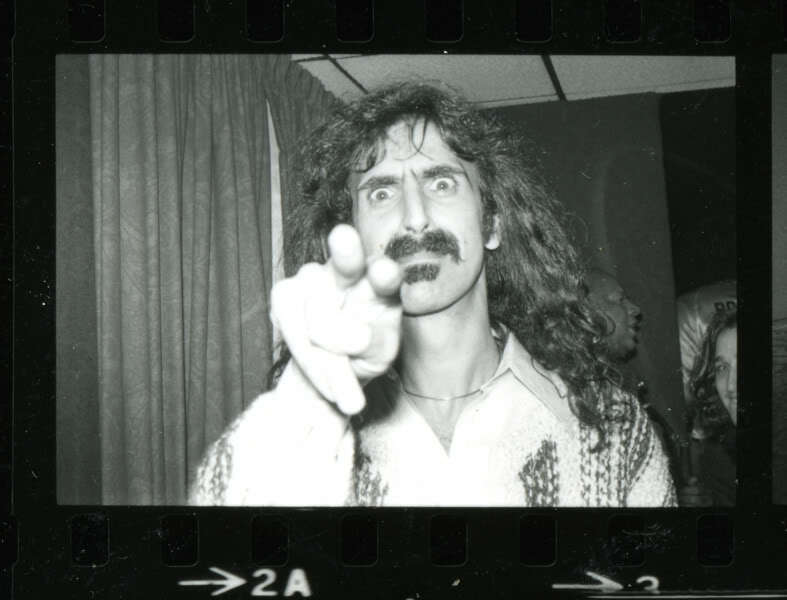 FRANK WANTS YOU TO SEE FRANK ZAPPA’S 200 MOTELS! THAT’S RIGHT! YOU HEARD RIGHT! FRANK ZAPPA’S 200 MOTELS with The Mothers of Invention, Theodore Bikel, Keith Moon and Ringo Starr as Frank Zappa (aka Larry the Dwarf)! Screening sponsored by Laughing Planet Café and special thanks to Music Millennium and KBOO for helping to promote this special event. This may be your only chance to see a genuine 35mm film print of FRANK ZAPPA’S 200 MOTELS. Don’t trust the DVD which distorted the image to be in the wrong aspect ratio (!?). 200 MOTELS plays one night only at Cinema 21, June 12th, 11pm . Rated R, under 17 must be accompanied by parent. Tell ya what…I’ll also make a deal with you: If 200 people purchase tickets online, some lucky, random winner will receive two tickets to ZAPPA PLAYS ZAPPA at The Roseland Theater the next night. Purchase your tickets for FRANK ZAPPA’S 200 MOTELS by clicking HERE, then send a PDF of your receipt to twohundredmotels@me.com. AND IF I get 200 submissions, I will randomly select and notify the lucky winner that they have won tickets to see ZPZ. Sound good? Great! BUY TICKETS NOW! ONE NIGHT ONLY! ALL AGES WELCOME! 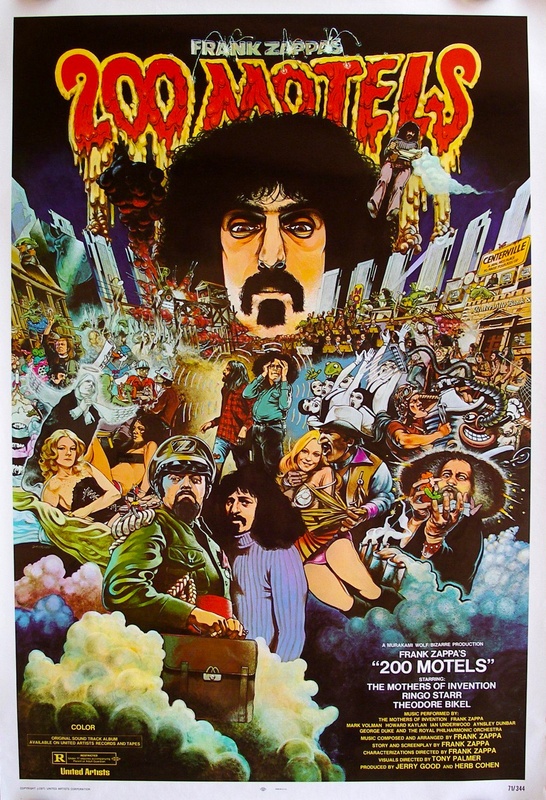 In attempting to summarize the infamous history of FRANK ZAPPA’S 200 MOTELS, three quotes mentioned in Amos Vogel’s book, Film as a Subversive Art, come to mind which also address early malignment of the film. Of note, Palmer withdrew his repudiation of the film recently by placing his name above the film’s title on last April’s DVD release (We’re Only in It for the Money, Mr. Palmer?). On the surface, FRANK ZAPPA’S 200 MOTELS is a tapestry of stream of conscious vignettes chronicling how “touring can make you crazy”, blurring life on the road into a nightmare of conformity and narrow-mindedness. However, through Dada “anti-art” aesthetics and Brechtian epic theatre, 200 MOTELS is also about the destruction of meaning through replication and repetition, whether it’s Zappa’s surreal depiction of Centerville U.S.A. as a “sealed tuna fish sandwich” with indistinguishable churches and liquor stores dotting every town, the formal representation of rural America through deliberately flimsy sets and blatantly fake props cast from real objects, or even through the medium of video itself, a cheap and instantly gratifying alternative to film, converting the motion picture screen into the same television, complete with sitcom laugh track, found in any chintzy American motel. FRANK ZAPPA’S 200 MOTELS stars Ringo Starr as Larry the Dwarf (dressed and mustached like Zappa, who in turn is represented by a dummy in some scenes), Academy Award nominated actor and folk singer, Theodore Bikel as Rance Muhammitz, part Faustian Mephistopheles, part fascist dictator (Bikel’s family fled Austria to Palestine during the Nazi occupation), The Who’s Keith Moon as a pop star disguised as a groupie disguised as a nun (Moon’s scene prognosticates his real life death from a drug overdose, “The pills, I took so many downers that I know this is the end for me!”) and Martin Lickert, Ringo Starr’s chauffeur who took the part of Mothers of Invention bass player, Jeff Simmons, when he quit the group during production (Lickert as Simmons’ double devolves into a cartoon character of Faust in a furious animation maligning Simmons’ real life decision to quit playing “comedy music”). FRANK ZAPPA’S 200 MOTELS plays Saturday, June 12th ONLY, 11PM at Cinema 21 and will be introduced by yours truly! Don’t forget! 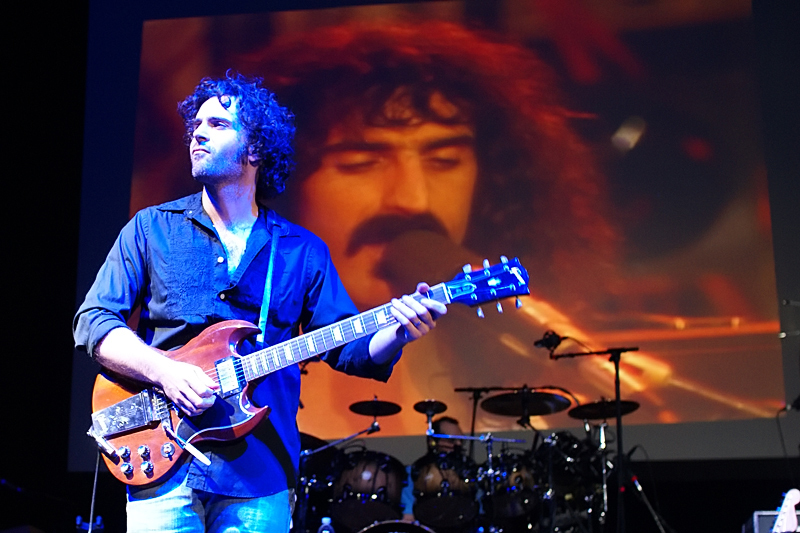 DWEEZIL ZAPPA PLAYS ZAPPA performs the following Sunday night, June 13th, at The Roseland Theater. For more information about the screening of 200 MOTELS, CLICK HERE! I realize it is a bold statement to call this the best film of the last decade, but there you have it. You may (not) remember my lengthy praise written in the 09 April entry of last year when SILENT LIGHT (Carlos Reygadas, Mexico, 2009) played that Easter weekend (which was purrrfectly programmed at The Whitsell Auditorium), so for those of you who are just discovering PDXFilm, you can CLICK HERE to read last year’s praise of the modern masterpiece, SILENT LIGHT. With SILENT LIGHT, Mexican auteur Carlos Reygadas (Japon, Battle In Heaven) delivers an extraordinary, transcendent meditation on love and religion. To capture the innocence necessary to tell his tale, Reygadas ventured to a Mennonite community in northern Mexico. Rather than falsifying his world, Reygadas cast the film with Mennonites from the community who speak the German dialect Plattdeutsch. From the luminous opening shot, which is without question one of the most stunning opening shots ever committed to celluloid, it becomes clear that this is a much different film than Reygadas’s last, the graphic and blunt Battle In Heaven. 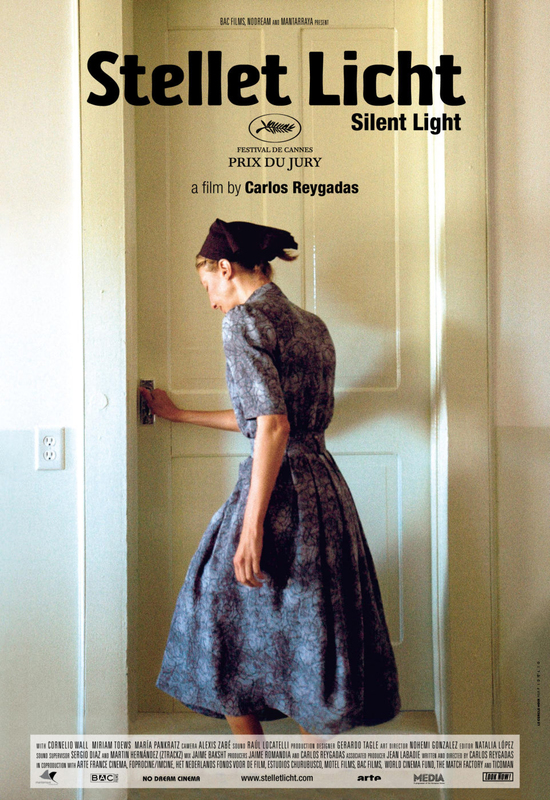 While it appears that Reygadas was deeply influenced by Carl Theodor Dreyer’s Ordet, as well as the works of Terrence Malick, SILENT LIGHT is the work of a visionary filmmaker who is challenging himself and trying to address genuinely deep human issues. Beautiful and profound, SILENT LIGHT is cinema at its most breathtaking. Film Comment ranked it as the 61st best film of the decade, but in my book…it’s number one. This will be your last chance to ever see SILENT LIGHT as a 35mm film print. EVER. It’s too obscure to return. SILENT LIGHT plays this weekend only at 5th Ave. Cinema. Friday and Saturday, it plays at 7pm and 9:30pm. Sunday, it plays at 3pm. If you are one of my students at NWFC, I showed this in class and your jaws were on the floor. GO, DAMMIT! It’s FREE for all PSU students and for the rest of us, it’s only THREE BUCKS! For the next four hours, I had my nose buried in journals and magazines learning about some guy named Martin Scorsese. Read every interview I could find, started watching every film about which he wrote and referenced and eventually I became a disciple. I still feel that Scorsese is the best teacher of film ever and hope I teach with the same passion and desperation. AFTER HOURS (Martin Scorsese, U.S., 1985) is a Scorsese film which is rarely ever screened and has more in common with the absurdity found in Czech cinema of the Sixties than any of the films in Scorsese’s oeuvre. 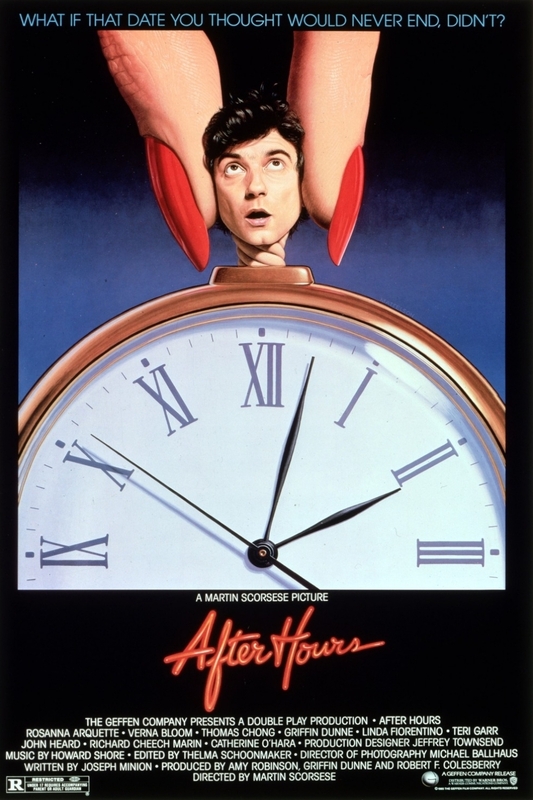 Sometimes people ask what my favorite film is and I gotta say, partially because it was my first introduction to what cinema can really be, MY FAVORITE FILM IS AFTER HOURS. AFTER HOURS plays three nights only, June 7th, 8th & 9th, at 7pm and 9pm. Tickets are only six bucks and Tuesday only FOUR BUCKS. It’s a 35mm film print. Highly recommended. One of the best films of 2004 will be playing at The Whitsell Auditorium tonight only at 7pm. 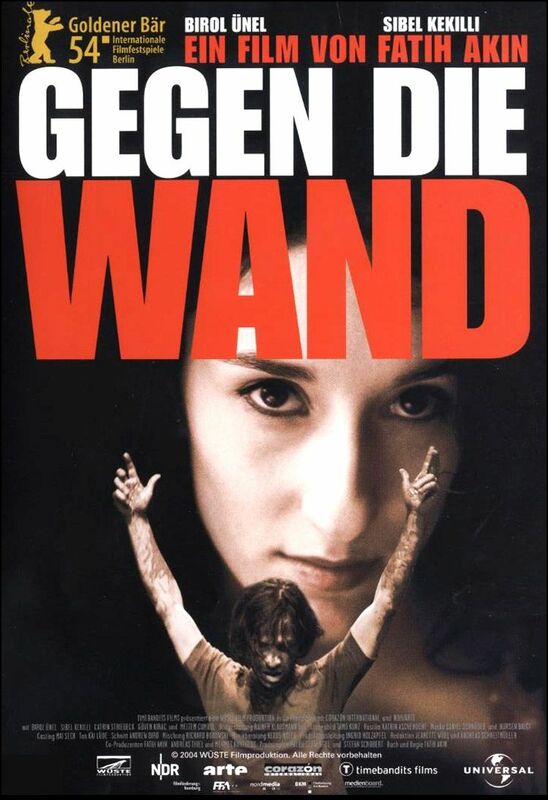 HEAD ON (Fatih Akin, Germany, 2004) won every major award at the European Film Awards and the Golden Bear at the Berlin Film Fest, but more than all its accolades, it will cripple your heart! After a night of heavy drinking, 40-year-old Cahit, on a path of self-destruction, drives his car head-on into a building in Hamburg. Sent to a psychiatric clinic, he is approached by the young, somewhat carefree Sibel, who impulsively asks him to marry her. Desperate to escape the constraints of her fanatic Muslim-Turkish-German family, Sibel sees a culturally acceptable marriage as her only means to freedom. Reluctantly, Cahit agrees to the union and the two move in together. Against the odds, the mismatch works; with regular meals and a clean apartment, Cahit starts to clean up his act, while Sibel relishes her new life, going clubbing and picking up guys as she wishes. But convenience and friendship soon turn to love, a complication that sends Cahit towards destruction, Sibel to Istanbul, and the relationship onto the rocks. “An intense, romantic, funny-sad, sometimes harrowing, always moving portrait of cultural estrangement and the power of love,” writes Hollywood Reporter. HEAD ON is Friday (Hey! That’s tonight!) only! It plays at The Whitsell Auditorium at 7pm. Do not miss it! That’s it for this week! See ya next week for 200 MOTELS!!!!! (U)Mon Dieu! What a GREAT week for CINEMA! PDXFilm: (U) The Red Shoes Restoration, Truffaut’s Small Change & more! James on PIFF HAS BEGUN!